Main clubroom with canteen services, function room and press box. 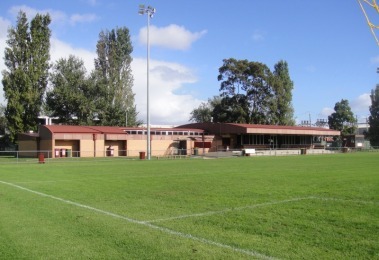 First class main pitch with Australian standard lights, grandstand and training fields. Excellent change rooms for men and women and toilets for members and guests. Our function room is ideal for parties, dinners, conferences, meetings, annual general meetings and product launches. Please call Andy Elderton on 0455 685 278 or info@portmelbournesc.com.au for further details. Function room hire is $150 per hour for a minimum of 3 hours. 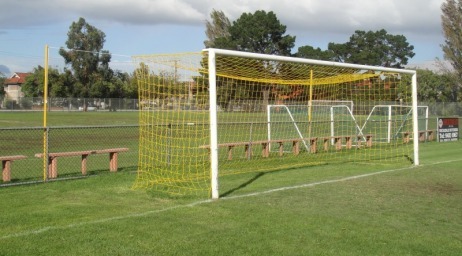 Port Melbourne Soccer Club members are entitled to a discount of $100 on the total hire cost. Payments for Hall must be made at the time of booking. No booking will be confirmed until payment is received. A Bond of $500 is required at time of booking. We will be happy to assist you and discuss your requirements. The hirer is expected to have the hall cleaned after use. Any hirer using the hall who leaves excessive clean up and need for extensive rubbish removal, or who damages property and equipment at the pitch or pavilion risks penalty or a fine (to be determined) and the possible refusal of future bookings. Any damage must be paid on top of the penalty.